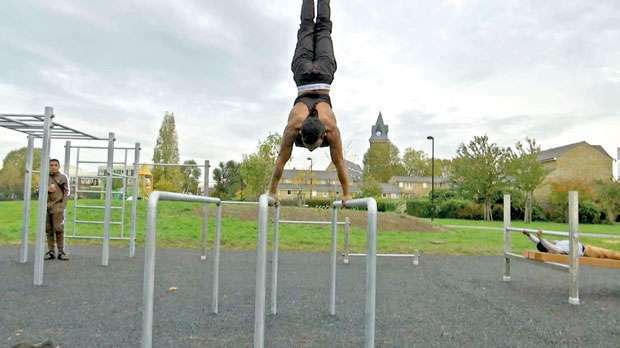 London charity Steel Warriors has created a public outdoor gym using 2.5 tonnes of steel that originated from confiscated weapons, donated by the police force. The gym consists of several metal climbing frames, gymnastic beams and parallel bars, ideal for bodyweight resistance exercises like calisthenics. Because the East London gym was literally built from the weapons of those involved in gang crime, it creates a dialogue in the community about violent gang culture and hopefully gives young people an outlet for their energy rather than getting involved in antisocial behaviour.